Business operations at Ithala are divided into four main categories: Ithala Financial services, Ithala properties, Ithala Limited and other strategic business units. Ithala’s head office is situated in Durban and the institution largely draws business from reliable bond originators. 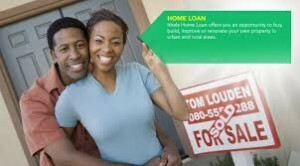 Finance solutions also include home loans, home improvement loans, cash loans, property development, commercial loans, personal loans and VAT loans. VAT Loans are tailored as a short term bridging finance facility to newly established industrial companies for VAT payment on equipment bought or newly established medium sized property owning companies for the payment of VAT in respect of property acquisitions. These loans run for a term of 4 months and auditors can co-sign the agreement and make a pledge to claim the VAT from the receiver and the address and account details for the payment of VAT refunds to that of the auditors. Upon refund of the VAT claim, auditors refund the outstanding amount to Ithala. This facility is only available for newly established companies where no output VAT will be applicable which can reduce the amount of the claim. In addition, Ithala provides savings bank book, debit card, club save, target save and fixed deposit options. Ithala aims to provide clients with competitive financial solutions to support entrepreneurial success in previously disadvantaged communities. Its 450 staff members dispersed among 51 branches are dedicated to assisting clients with quality and expertise. Contact Ithala on: 031 907 8911.